TaxSaleSupport.com is a tax sale training website that is owned and operated by Tax Sale Support LLC. The website is used for membership, training, and downloading tax sale lists. Tax Sale Support LLC training programs were founded by Stephen Swenson and Shade Ferre in 2007. If you're new to the program, a brief history about the company is very helpful. Steve and Shade are business partners with a long history together. The two have been best friends since First Grade, and grew up together in Cedar Hills, Utah throughout the 1980's and 1990's. In 1999, Stephen was introduced to tax liens and tax deeds for the first time. Naturally, he got Shade interested too. By 2003, the two were attending tax sales and purchasing investments, but more importantly, they were learning. It was 2005 when Steve and Shade first had the idea of creating a tax sale training program. They set out to create the best training program available. Their unique perspective, and ability to simplify complicated property tax laws helped them achieve that goal. 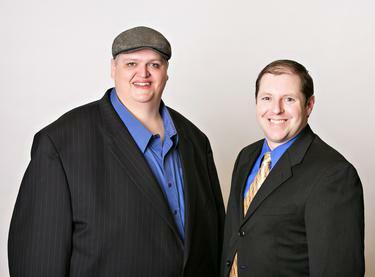 In 2007, Steve and Shade copyrighted their program and cofounded their business together. For the next decade they provided their tax sale training exclusively through seminar companies. During this time, Steve and Shade trained tens of thousands of people. Unfortunately, they came to realize that their seminar partners were far more interested in profits than the success of the students. The seminar companies had a tendancy to continually increase the price of the program for the student, while decreasing what they were willing to pay for it. The high cost of the training was always a concern for Steve and Shade. Neither of them grew up wealthy. They couldn't watch people spend their only available funds on the training. In 2015, Steve and Shade walked away from the seminar industry. They were determined to find a better way to provide training and lists. In 2016, Steve and Shade began offering their training directly to the public. They created TaxSaleSupport.com to serve as a training hub, and tax sale list database for members. Today, Steve and Shade are doing what they love, teaching about tax lien and tax deed investing. Best of all, they've made the training and membership affordable for anyone. At TaxSaleSupport.com, your success is our top priority. We hope you'll join us and become a member!